Well, hopped on the DB bandwagon when they were released so I could have a break from my Paladin. My range is a little higher now, due to destroying/remaking my gloves and them coming out with more LUK. :3 Still no attack though. I'll try taking some screens of what can be seen later. otherwise congrats on your... 3rd level100 character? 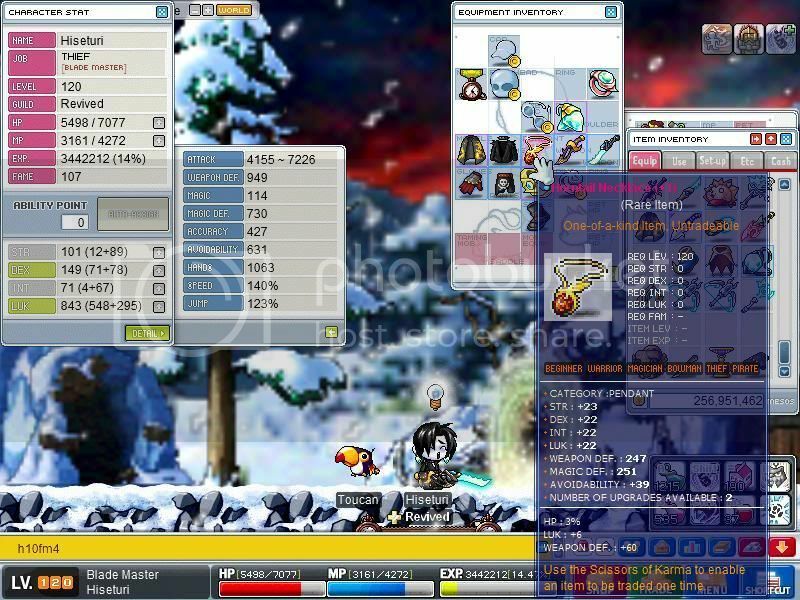 Up to 112, been slacking off to make meso and been upgrading. 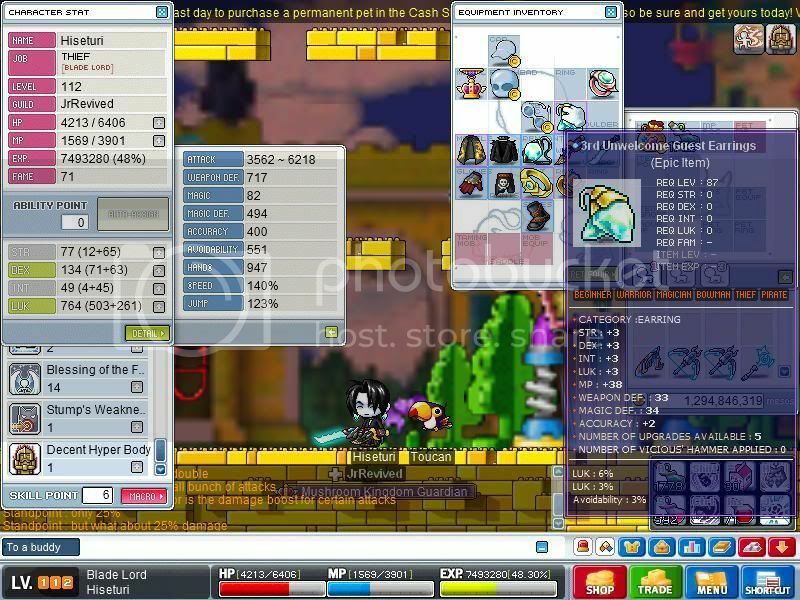 Equips are mostly the same aside from belt, pendant, earrings, ring, and Katara, and of course potential stats. Gloves are remade to the same stats, but 3 potential lines, and scrolled to 6atk. The belt is 7/6/6/6, pendant is 6/5/5/5, earrings are shown, ring is 1/1/1/1, and the Katara is 58atk. All are clean. that's not fair, lol. but gratts! Gratz on another 100! 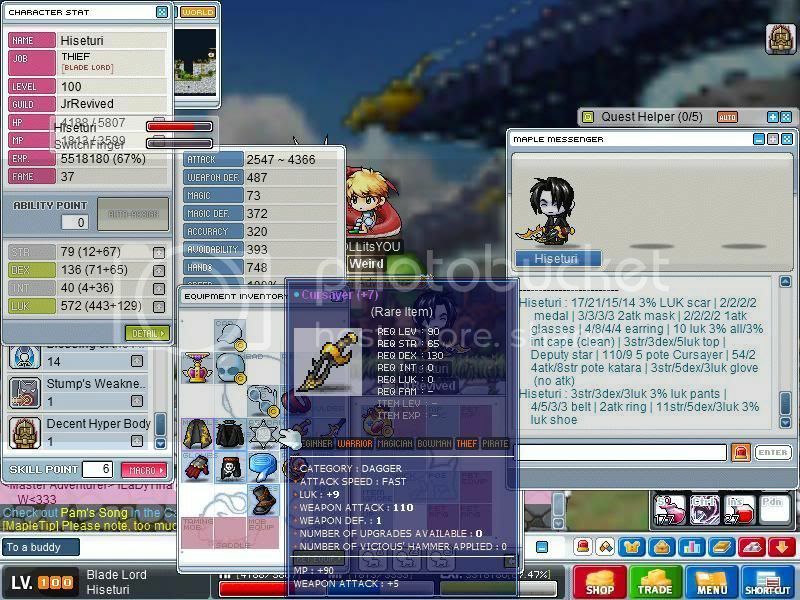 Every time I look at Maple Screen shots it makes me want to play it more lol. I just don't like my Fire Mage that much.